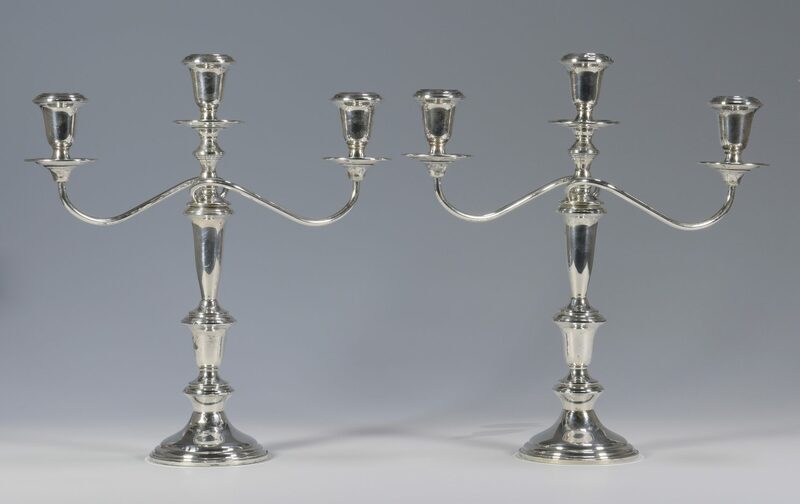 1st item: Pair of Towle convertible 3-arm weighted sterling candelabra, convertible to low single, high single or triple candle holder. 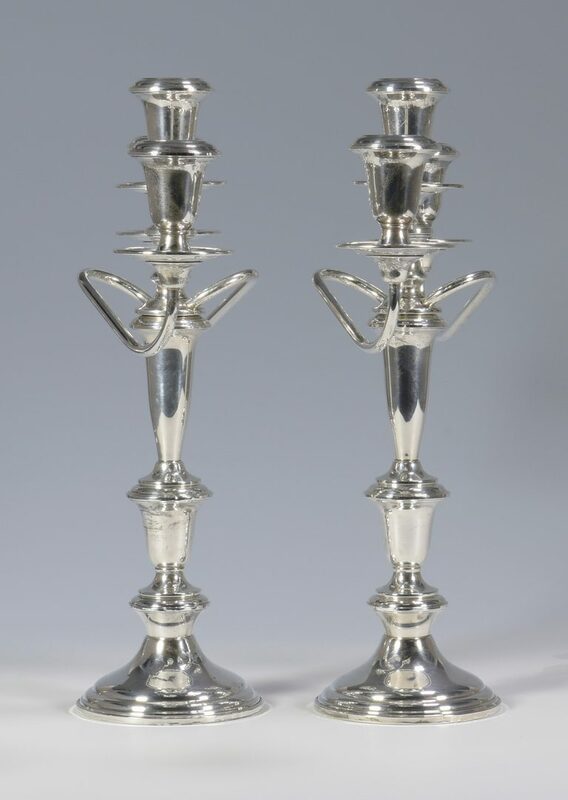 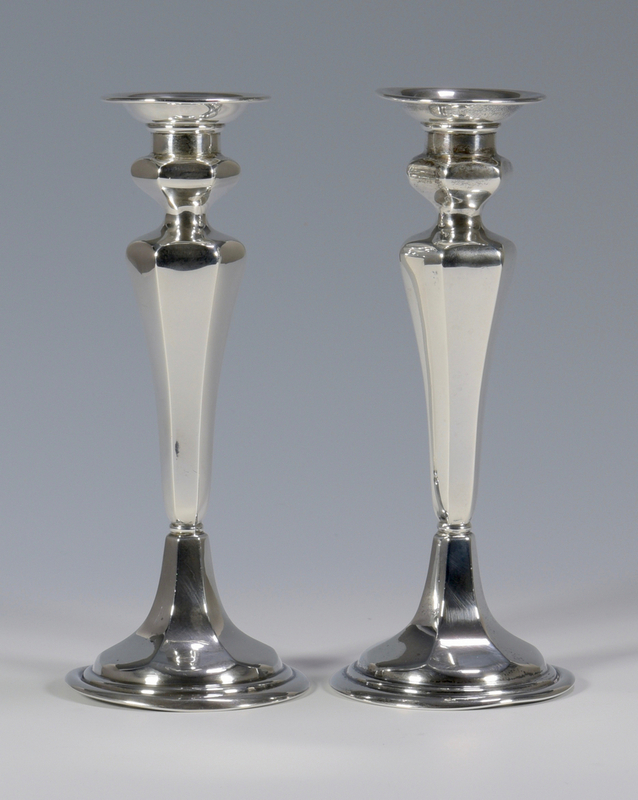 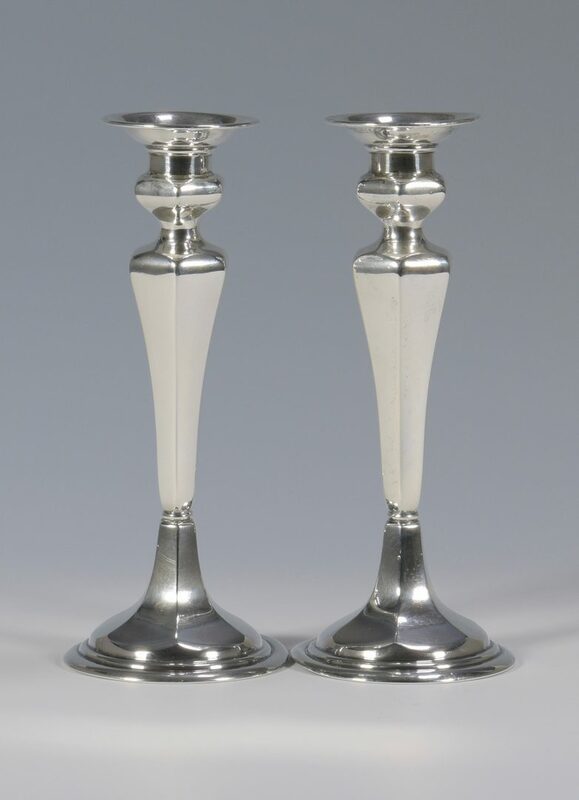 13 1/4" H x 12 1/4" W. 2nd item: Pair of Gorham A10077 weighted sterling candlesticks. 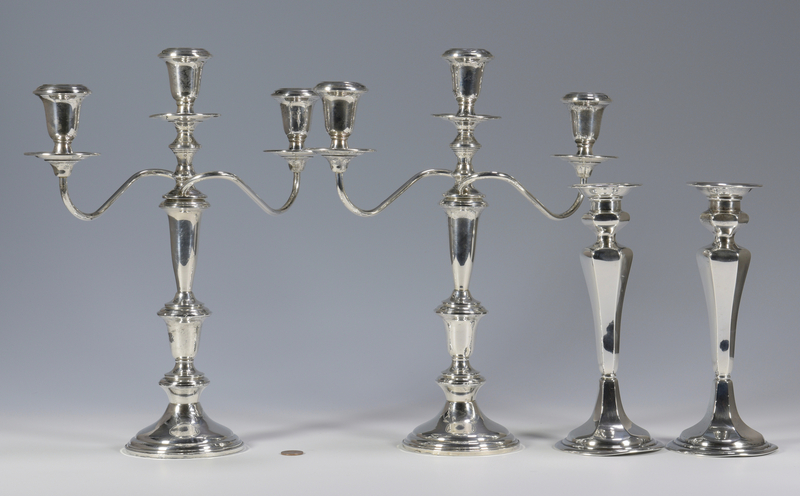 9" H. CONDITION: Pitting to bases of larger candelabra. 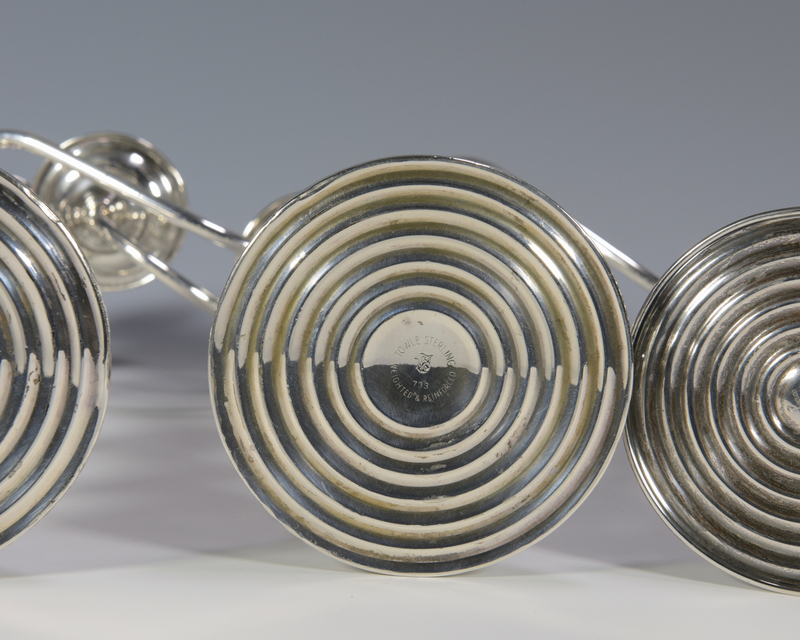 Some bending to base of one of the Gorham pair.